Is an Index of family names appearing in “Huguenot Trails”, the official publication of the Huguenot Society of Canada, from 1968 to 2003. While many family histories are given at length, and others are mentioned only briefly. 1. The documents are centralised in the archives: no need to know the church or village name. 2. Women always use their birth family name in records, from birth to death. There may ‘’wife of’’ or ‘’widow of’’ also included. 3. Parents are listed on the marriage record. You can use the Drouin collection of books, one for men and one for women, with marriages 1760-1935, or online Drouin or Ancestry or Family Search at home or at the Quebec family History Society. When I started my research, I had my mother in law’s parents and their wedding. 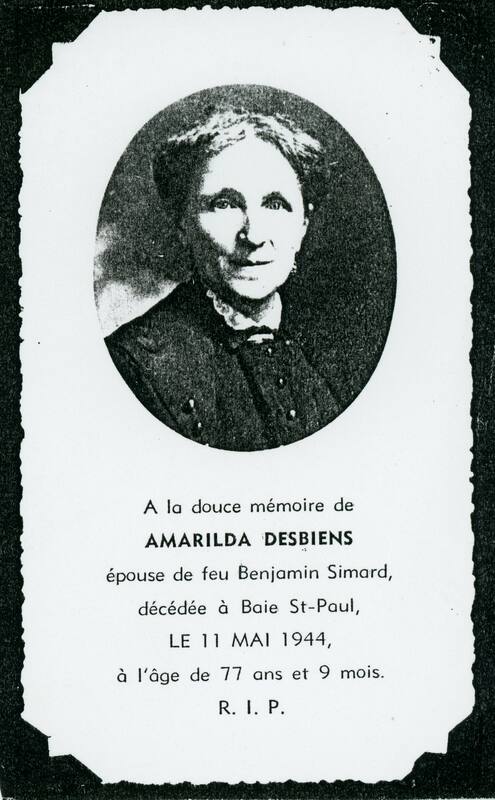 Her grand-father Benjamin Simard’s wedding I found : to Amarilda Desbiens, August 17th 1887 in Baie-St-Paul . Amarilda was the daughter of Joseph Desbiens and Louise Bouchard, and on I went in an afternoon, all the way up the tree to France. Then, with different resources I found birth and death certificates, but no birth date for Amarilda. Even in books where they would list her whole family, ancestors and descendants, there was a marriage and a death, but no birth for her. At the Société d’histoire de Charlevoix, her card was in a collection of funeral cards. 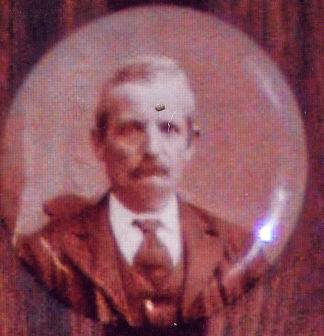 I got an approximate date of birth of 1866 from the information: died May 11th 1944, at 77 years and 9 months. All her sibblings were baptised at Les Eboulements and her father in Ile-aux-Coudres. 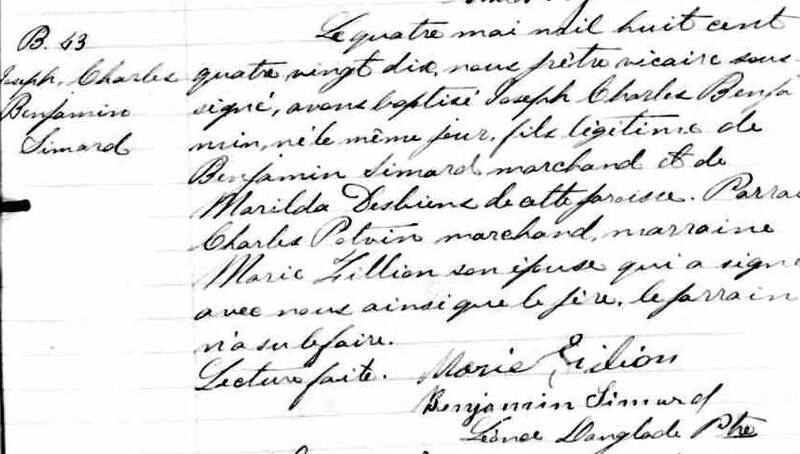 At the local Quebec Archives Depot of Charlevoix I look at the microfilmed birth registers for 1865, 1866, 1867. No Desbiens birth . 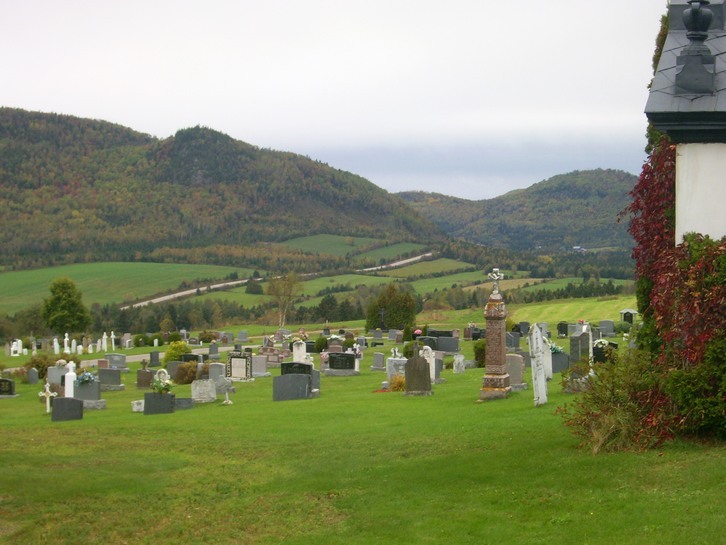 At Baie-St-Paul and Les Eboulement cemeteries: no tombstones for the family. A friend told the family that Amarilda was adopted and from Scotland. She was supposed to be a Donaldson or Danielson, but I found that her sister married one, nothing about Amarilda. My mother in law said Amarilda was a really cold and distant grand-mother, sitting very upright in her chair, a cameo at her neck and a blanket on her knees. She only had three kids. When she was young, my mother in law’s sister was so blond with blue eyes, she was told she was Irish by the neighbours. So she must have been adopted when she was older than 15 years old. I started looking up immigration history books, lists… To no avail. Even now, when I look up online Ancestry, Drouin or Family Search : marriage records only for dear Amarilda. Now I knew she was laughing watching me go in circles. Every place I went, every book I got my hands on, I looked her up. Not a word on her birth. Before she was five, she was adopted by the neighbour Charles Potvin, a baker and merchant, and wife Marie Filion. 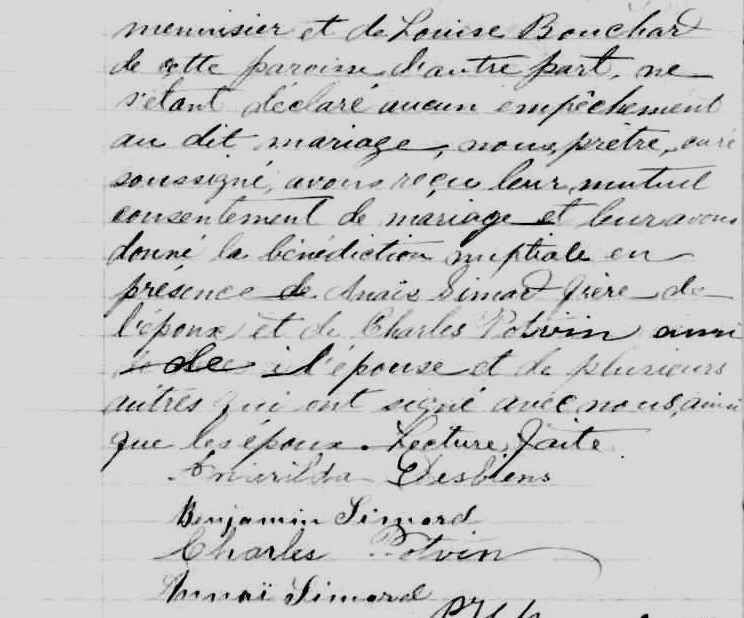 She married Benjamin Simard August 17th 1887 in Baie-St-Paul. 7 died young or at birth, Ambroise died at 18, Florence and Charles became adults. Amarilda’s eldest son, Charles, took his name from his godfather: Amarilda’s adoptive father. Charles Potvin being a merchant, maybe Benjamin Simard even took over his store. All those little clues at first could not be taken for proof, but I did keep them on the back burner. No Scottish, no Irish, not adopted INTO Desbiens family but adopted OUT to a Potvin family. Still I learned a lot even if side tracked. 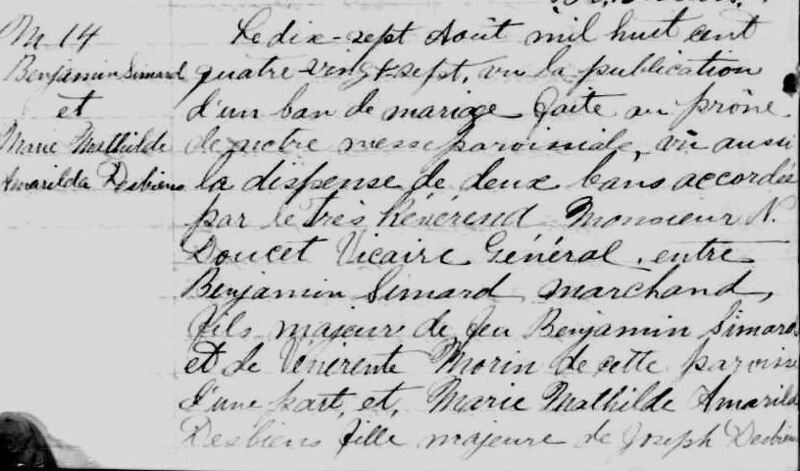 I find her birth and death dates in Death Index Quebec 1926-1997 but no place of birth.If I had looked up the 1866 Baie-St-Paul register, page by page, I would have found a baby girl born to those parents in August 1866. 1. 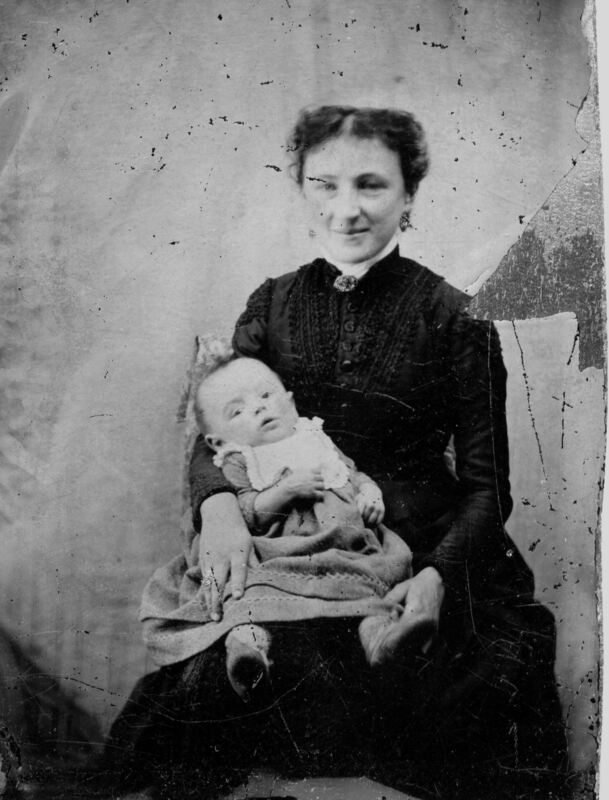 Census: 1871 she is not there, not because she has not joined the family, but because she has already left it, for…the neighbour: Charles Potvin and who will not children of their own. When you look at the ditto signs before her name on the census, there is a very nicely formed beginning of a D for Desbiens ( just like her Desbiens family above), it stops, and dittos are put in, saying she’s a Potvin. 3. At Amarilda’s wedding, Charles Potvin is her witness. If you look at the line where he is mentioned, ‘’friend of bride’’ is written over a few words that were already written. Father? Adoptive father? 4. Charles Potvin and Marie Filion are godfather and godmother of Charles Simard, first surviving son of Amarilda and Benjamin. The first of Amarilda’s siblings was born in 1850, they were 10 children in total, and twins were born in 1863. Maybe mom was getting tired and needed help. Maybe she was sick. Or the twins were a lot to take care of, and she was pregnant with her last child who was born in 1869. Or they took her in when her mom gave birth to the last one? Charles Potvin, no kids, baker and merchant he was probably better off than his neighbours. 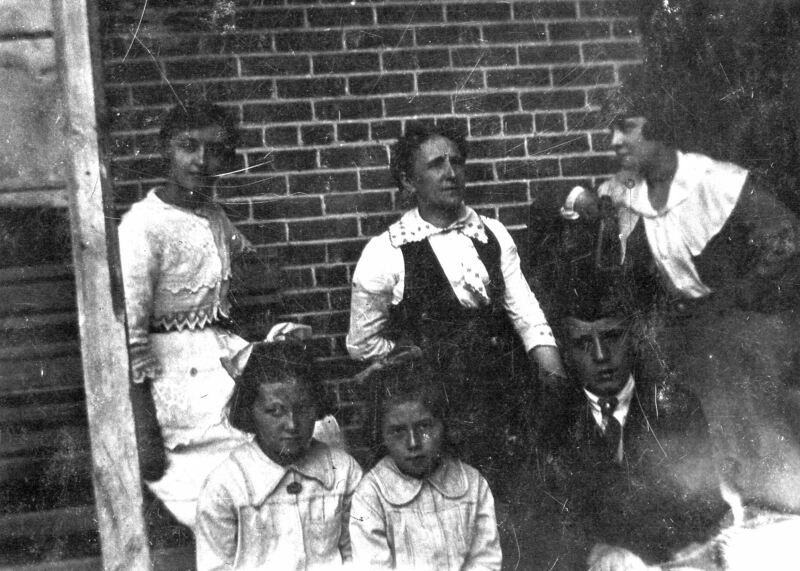 In the area, in those days, many well off families would pay for less fortunate children’s education, or adopt them. 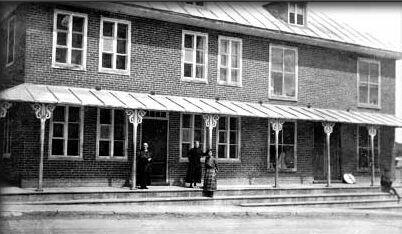 Charles, once a father, paid for education for quite a few children of Baie-St-Paul also. Eventually, Zoe Potvin, Charles’ sister, even married Eusebe Desbiens, Amarilda’s brother. Montreal, originally known as Ville Marie was founded in 1642 by Paul Chomedy Sieur de Maisonneuve. At the time there were very few inhabitants. Within the next several years ships arrived and the population grew. In 1665 my 7th great Grandfather Claude Jodouin, born in Poitiers, France, arrived in Ville Marie, New France. He was a master carpenter and worked for the Sulpicians. Shortly after his arrival1 on March 22,1666 in Notre Dame Church he married Anne Thomas, a King’s daughter. Over the years they had ten children. Saint-Henri des Tanneries was an non-populated wooded area far removed from the walled section of the settlement which is now referred to as Old Montreal. There the workers would tan hides. The odor from the tasks was most unpleasant, to the point of being quite unbearable. This was the reason for establishing the tanneries far from the population. The area today still bears the name Saint Henri. While working at the tannery Claude Jodouin’s life came to a fateful end. He was fifty years old. In the Bulletin des Recherches Historiques2 the following describes his death. Translation: It was in a wooded section outside the tannery, that a fellow worker thought he heard a bear rustling in the bushes, took aim and shot. So ended the life of Claude Jodouin, the master carpenter. In the Dictionnaires de genealogies des familles du Quebec3 it indicates that Claude Jodouin was killed accidentally. Little did I know that my first trip to La societe de genealogie canadienne francaise in the east end of Montreal would reveal the manner in which he died. 1 L’Abbe D Tanguay, ADS, Dictionnaire Genealogique des Familles Canadiennes Depuis la Fondation de la Colonie Jusqu’a Nos Jours, Cinquieme Volume, Depuis 1608 jusqu’a 1700, Eusebe Senecal, 1888. Facebook to connect on and on and on. Yes, we are all connected with our trees, and the web makes it so you can get lost as one page connects to the next and to the next… We genealogists are so curious, we can lose entire days brousing. But sometimes at the end of a treck, you hit what you didn’t know you were looking for but needed anyways. Fumbling around Facebook today, I found lots I wasn’t looking for. On the French-Canadian Heritage Society of Michigan Facebook Page, I discovered Katherine R Willson’s social media genealogy page as I was following a lead historical and genealogical Facebook pages. YES! Browse throught the list and you may mingle with the right crowd gen-buffs on Facebook: the ones that can help you, the ones where cousins may be hiding, and the ones to keep on getting lost through genealogical maze on the web. You may download the Facebook list but please keep the credits on each page. Want to know more about genealogy, art and military family support? Those are KATHERINE R. WILLSON’s favorite topics and she is writing a book about the use of Facebook as a genealogical research tool. 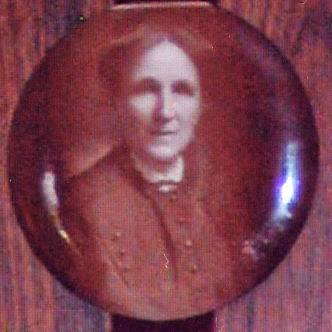 Member of many historical and genealogical societies, she is also a mixed media artist. To know more about talks she gives, go to her social media genealogy page . Facebook nous permet de rejoindre bien des gens, mais Katherine R. Willson nous aide a trouver ceux qu’on cherche: ceux qui peuvent nous aider ou des cousin. 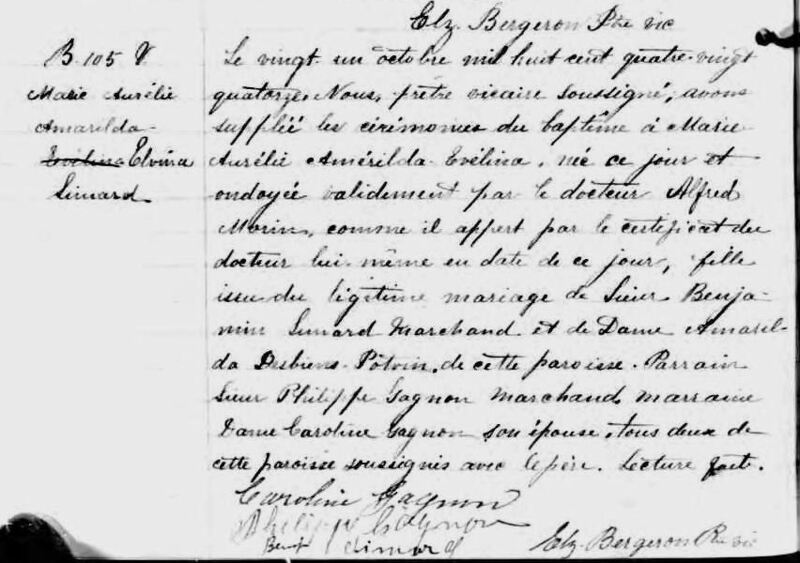 Vous pouvez rencontrer cette conférencière sur sa page social media genealogy page . La généalogie, le support de familles militaires et les arts sont ses sujets préférés. Pour rendre Facebook encore plus utile, elle a compilé une liste de sites Facebook historique et généalogique que vous pouvez télécharger. Elle nous prie de garder les crédits sur chaque page si nous diffusons cette liste.